Infographics with social media ideas, tips and tricks for businesses and events. Find in this post 5 social media ideas for your conference to make the most out of its online presence. If you don’t have one yet, you must create a hashtag for your conference: #MyConference, preferably followed by the year #MyConference2015 (if 2015) or the number of the edition #MyConference9 (if it is the ninth edition). In this brief word or set of words you should reflect your brand name to make it easier for users to mention you in their comments on social media. For details on how to create a good hashtag for your conference, take a look at this article. Use social media to monitor your conference, for example, give an indication of the participating speakers, display the list of the presentations and recruit participants to your sweepstakes and contests. 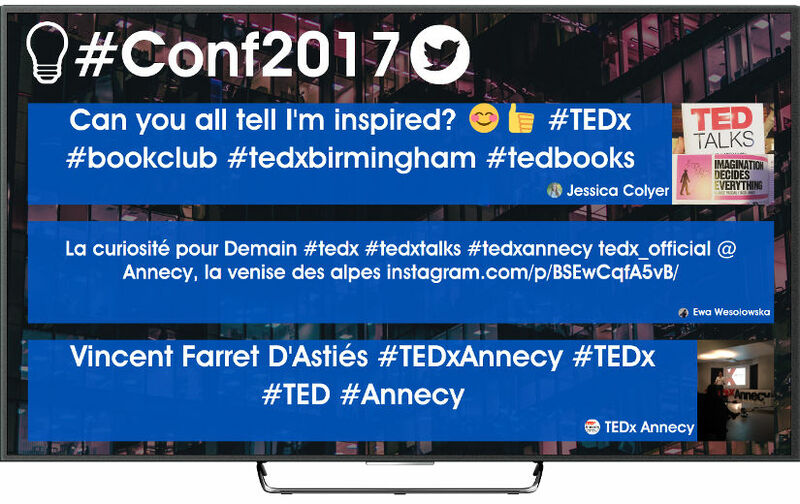 Share schedules of the conference on Twitter, create an album with the best photos of the speakers and the audience on Facebook, photograph all the participants on Instagram… In short, share every single piece of information with your followers so they can better enjoy your event. Invite attendees to leave their stories and experiences in your social media. With a brief comment, a picture and even a short video, the essence of your conference will be shared and viewed by a large number of people. Use the content generated by attendees to create viral content. Collect this content, create an animated video based on the experience at your conference and show it on your YouTube channel. A viral video is a good element to spread a brand image closer and funnier; it reaches the customer through humor and emotions, inviting them to share it among their friends. Find in this post 5 social media ideas for your expo to make the most out of its online presence. If you don’t have one yet, you must create a hashtag for your expo: #MyExpo, preferably followed by the year #MyExpo2015 (if 2015) or the number of the edition #MyExpo9 (if it is the ninth edition). In this brief word or set of words you should reflect your brand name to make it easier for users to mention you in their comments on social media. For details on how to create a good hashtag for your expo, take a look at this article. Use social media to monitor your expo, for example,give an indication of the participating brands, display the list of the stands and recruit participants to your sweepstakes and contests. Share schedules exhibitions and lectures on Twitter, create an album with the best photos of the exhibitors at Facebook, upload the arrangement of the stands to Instagram… In short, share every single piece of information with your followers so they can better enjoy your event. Invite attendees to leave their stories and experiences in your social media. With a brief comment, a picture and even a short video, the essence of your expo will be shared and viewed by a large number of people. Use the content generated by attendees to create viral content. Collect this content, create an animated video based on the experience at your expo and show it on your YouTube channel. A viral video is a good element to spread a brand image closer and funnier; it reaches the customer through humor and emotions, inviting them to share it among their friends. Find in this post 5 social media ideas for your sporting event to make the most out of its online presence. If you don’t have one yet, you must create a hashtag for your sporting event: #MySportingEvent, preferably followed by the year #MySportingEvent2015 (if 2015) or the number of the edition #MySportingEvent9 (if it is the ninth edition). In this brief word or set of words you should reflect your brand name to make it easier for users to mention you in their comments on social media. For details on how to create a good hashtag for your sporting event, take a look at this article. 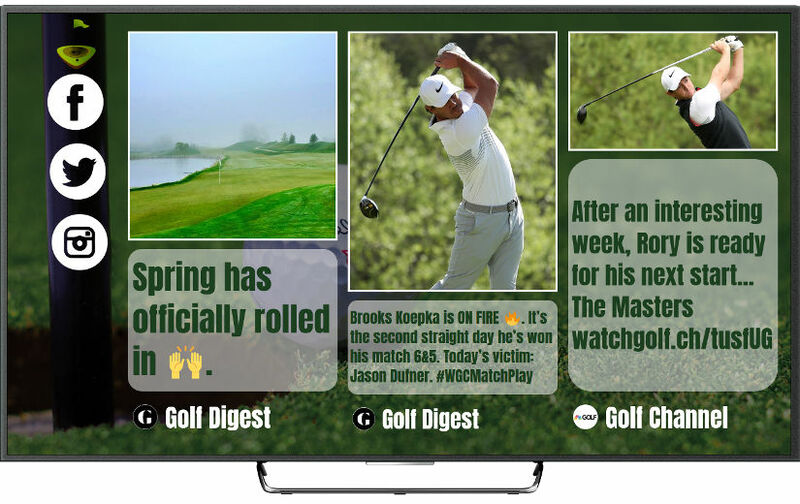 Use social media to monitor your sporting event, for example, show signs of activities, expose the list of participating athletes and recruit participants for your sweepstakes and contests. Share schedules of the tournaments on Twitter, create an album with the best photos of the passes, jumps and poses on Facebook, photograph and upload on Instagram all the participants with their sporting idols… In short, share every single piece of information with your followers so they can better enjoy your event. Invite attendees to leave their stories and experiences in your social media. With a brief comment, a picture and even a short video, the essence of your sporting event will be shared and viewed by a large number of people. Use the content generated by attendees to create viral content. Collect this content, create an animated video based on the experience at your event and show it on your YouTube channel. A viral video is a good element to spread a brand image closer and funnier; it reaches the customer through humor and emotions, inviting them to share it among their friends. We develop solutions for your sporting event to be a success in social media, let’s talk! Find in this post 5 social media ideas for your branding event to make the most out of its online presence. If you don’t have one yet, you must create a hashtag for your branding event: #MyBrand or #MyBrandingEvent, preferably followed by the year #MyBrand2015 or #MyBrandingEvent2015 (if 2015) or the number of the edition #MyBrand9 or #MyBrandingEvent9 (if it is the ninth edition). In this brief word or set of words you should reflect your brand name to make it easier for users to mention you in their comments on social media. For details on how to create a good hashtag for your brand event, take a look at this article. Use social media to monitor your branding event, for example, show signs of activities, expose the list of participants and recruit participants to your sweepstakes and contests. 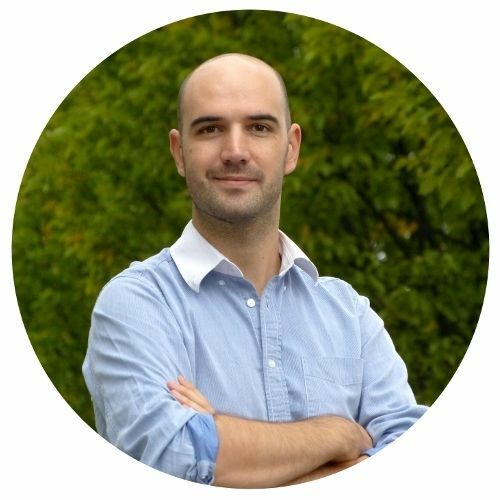 Share schedules of the activities on Twitter, create an album with the best photos of your products on Facebook, photograph and upload to Instagram the pictures of all participants at the photocall… In short, share every single piece of information with your followers so they can better enjoy your event. Invite attendees to leave their stories and experiences in your social media. 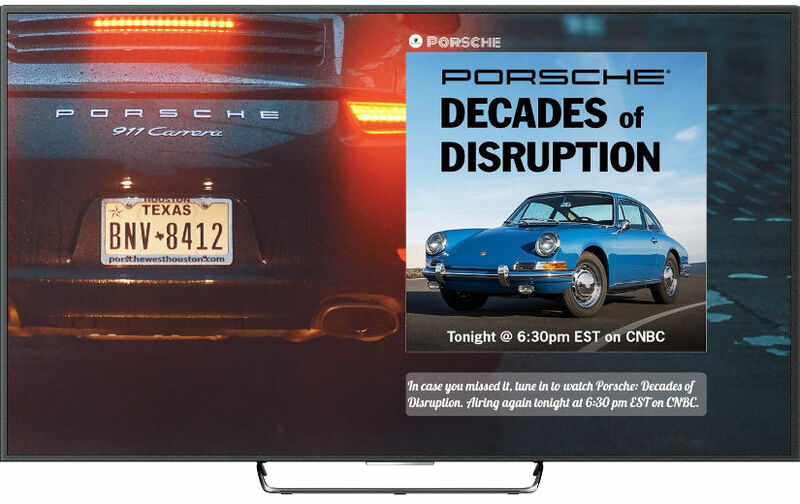 With a brief comment, a picture and even a short video, the essence of your branding event will be shared and viewed by a large number of people. Use the content generated by attendees to create viral content. Collect this content, create an animated video based on the experience at your branding event and show it on your YouTube channel. A viral video is a good element to spread a brand image closer and funnier; it reaches the customer through humor and emotions, inviting them to share it among their friends. Find in this post 5 social media ideas for your fashion show to make the most out of its online presence. f you don’t have one yet, you must create a hashtag for your fashion show: #MyFashionShow, preferably followed by the year #MyFashionShow2015 (if 2015) or the number of the edition #MyFashionShow9 (if it is the ninth edition). In this brief word or set of words you should reflect your brand name to make it easier for users to mention you in their comments on social media. 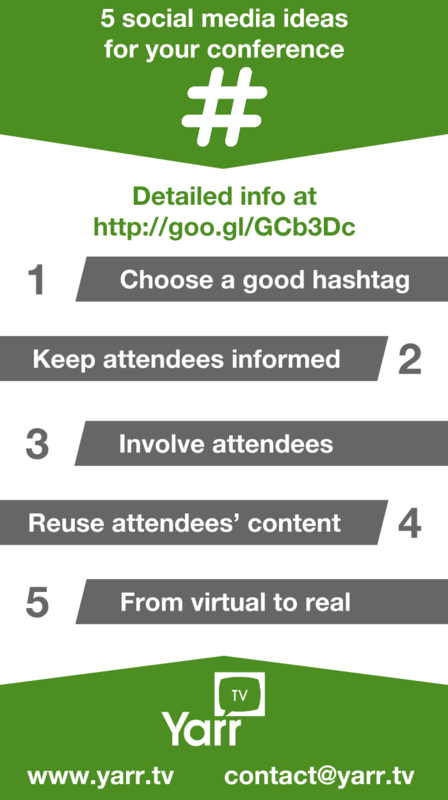 For details on how to create a good hashtag for your fashion show, take a look at this article. 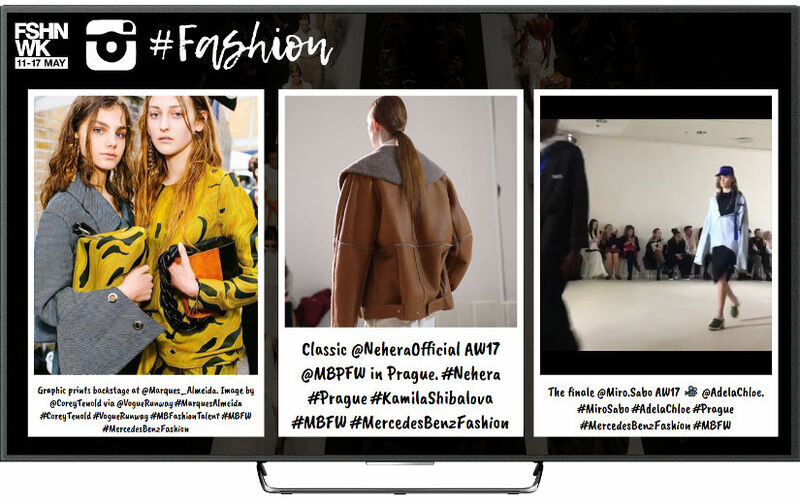 Use social media to monitor your fashion show, for example, clues about the participating brands, display the list of models and recruit participants to your sweepstakes and contests. Share schedules of the models’ castings and catwalks on Twitter, create an album with the best designs on Facebook, photograph all the participants at the photocall and upload them to Instagram… In short, share every single piece of information with your followers so they can better enjoy your event. Invite attendees to leave their stories and experiences in your social media. With a brief comment, a picture and even a short video, the essence of your fashion show will be shared and viewed by a large number of people. Use the content generated by attendees to create viral content. Collect this content, create an animated video based on the experience at your fashion show and show it on your YouTube channel. A viral video is a good element to spread a brand image closer and funnier; it reaches the customer through humor and emotions, inviting them to share it among their friends. We develop solutions for your fashion show to be a success in social media, let’s talk! Find in this post 5 social media ideas for your shop to make the most out of its online presence. If you don’t have one yet, you must create a hashtag for your shop: #MyShop. In this brief word or set of words you should reflect your brand name to make it easier for users to mention you in their comments on social media. For details on how to create a good hashtag for your shop, take a look at this article. Use social media to highlight your strengths, for example, the quality of your products, your best promotions and the effectiveness of your service. Share your schedule on Twitter, make an album with photos of your products on Facebook, take a picture of your list of exclusive services and upload to Instagram… In short, share every single piece of information with your followers so they can better enjoy the stay at your shop. Invite your customers to leave their stories and experiences in your social media. With a brief comment, a picture and even a short video, the essence of your shop will be shared and viewed by a large number of people. Use the content generated by your customers to create viral content. Collect this content, create an animated video based on the experience at your shop and show it on your YouTube channel. A viral video is a good element to spread a brand image closer and funnier; it reaches the customer through humor and emotions, inviting them to share it among their friends. We develop solutions for your shop to be a success in social media, let’s talk! 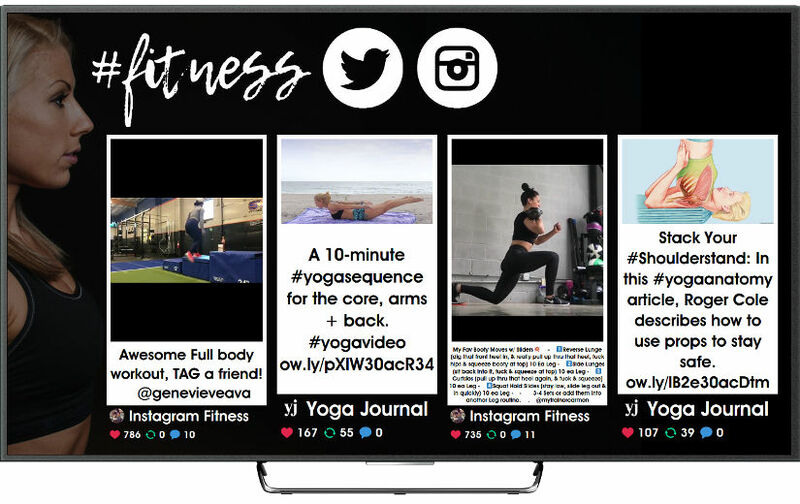 Find in this post 5 social media ideas for your gym to make the most out of its online presence. If you don’t have one yet, you must create a hashtag for your gym: #MyGym. In this brief word or set of words you should reflect your brand name to make it easier for users to mention you in their comments on social media. For details on how to create a good hashtag for your gym, take a look at this article. Use social media to highlight your strengths, for example, show your specialized facilities, pictures of your team and your techniques to improve health. Share motivating sentences with your followers at Twitter, create an album with the best photos of exercises in Facebook, photography and upload on Instagram the most outstanding results of athletes… In short, share every single piece of information with your followers so they can better enjoy the stay at your gym. #GoodMorning DBGym #AstorPlace #NYC #NOHO #EastVillage #NYU Thanks for the shot @alexichen! Invite your customers to leave their stories and experiences in your social media. With a brief comment, a picture and even a short video, the essence of your gym will be shared and viewed by a large number of people. Use the content generated by your customers to create viral content. Collect this content, create an animated video based on the experience at your gym and show it on your YouTube channel. A viral video is a good element to spread a brand image closer and funnier; it reaches the customer through humor and emotions, inviting them to share it among their friends. We develop solutions for your gym to be a success in social media, let’s talk! Find in this post 5 social media ideas for your club to make the most out of its online presence. If you don’t have one yet, you must create a hashtag for your club: #MyClub. In this brief word or set of words you should reflect your brand name to make it easier for users to mention you in their comments on social media. For details on how to create a good hashtag for your club, take a look at this article. Use social media to highlight your strengths, for example, good music, the best dancers and modern facilities. 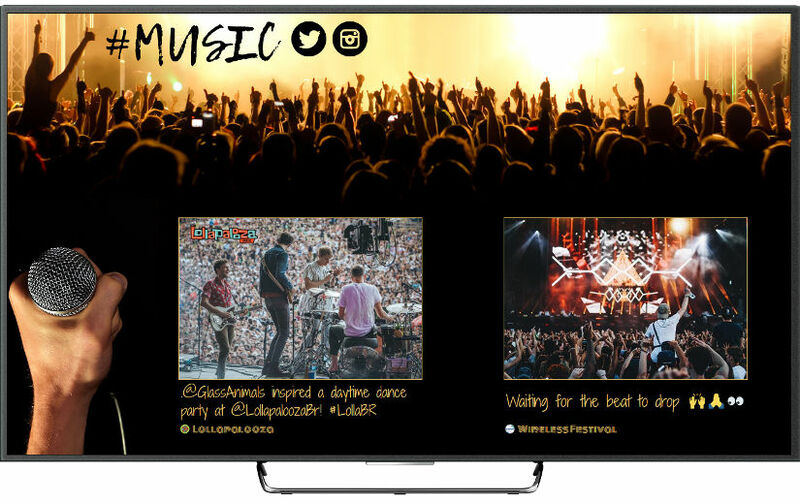 Share your list of events on Twitter, create an album with the best photos of DJs and fans on Facebook, photograph and upload to Instagram the most daring moments of the night… In short, share every single piece of information with your followers so they can better enjoy the stay at your club. Invite your customers to leave their stories and experiences in your social media. With a brief comment, a picture and even a short video, the essence of your club will be shared and viewed by a large number of people. Use the content generated by your customers to create viral content. 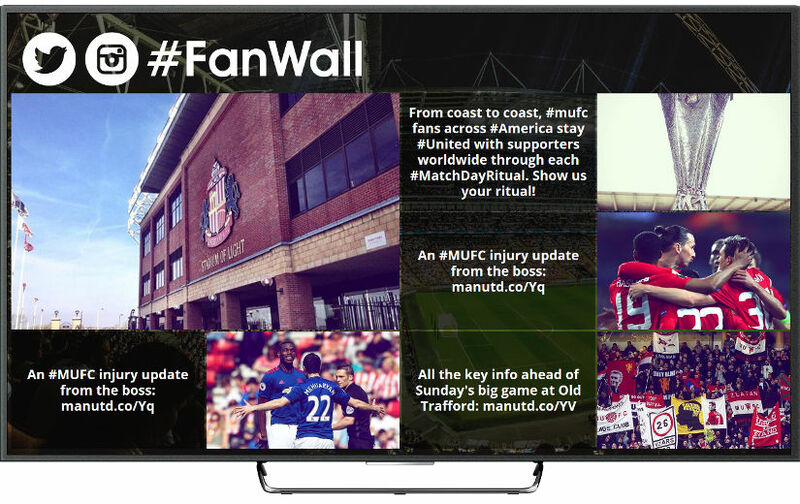 Collect this content, create an animated video based on the experience at your club and show it on your YouTube channel. A viral video is a good element to spread a brand image closer and funnier; it reaches the customer through humor and emotions, inviting them to share it among their friends. We develop solutions for your club to be a success in social media, let’s talk! 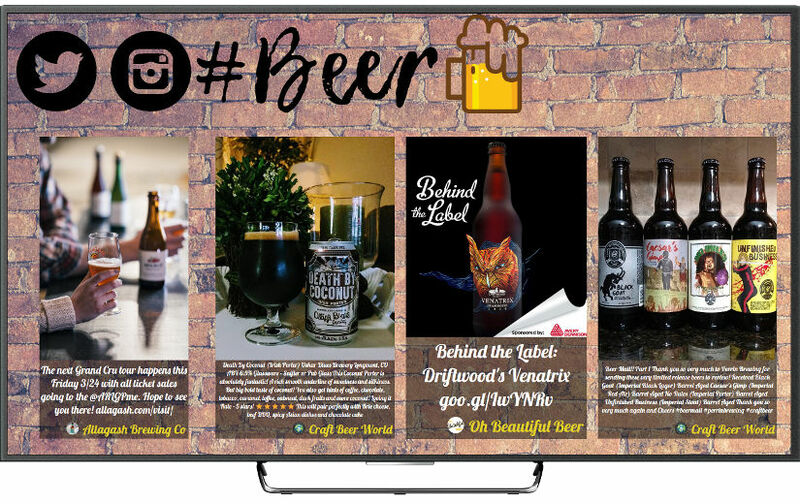 Find in this post 5 social media ideas for your bar to make the most out of its online presence. If you don’t have one yet, you must create a hashtag for your bar: #MyBar. In this brief word or set of words you should reflect your brand name to make it easier for users to mention you in their comments on social media. 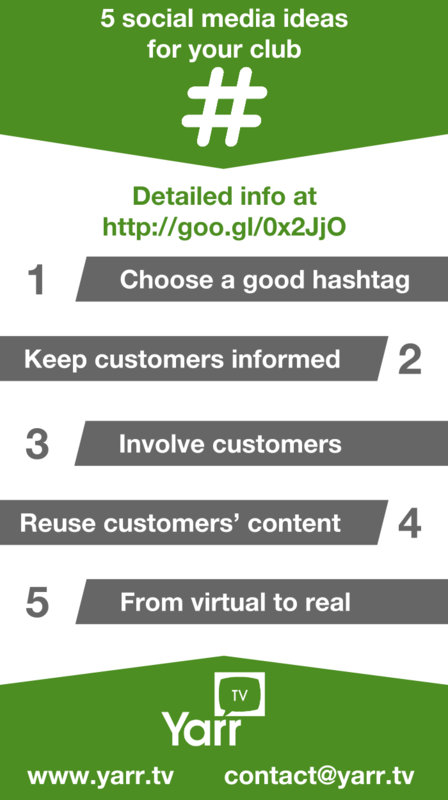 For details on how to create a good hashtag for your bar, take a look at this article. Use social media to highlight your strengths, for example, the ambience of your bar, your best promotions and cocktails. Share your schedule on Twitter, create an album with photos of your best events on Facebook, photograph your best dishes and upload them to Instagram… In short, share every single piece of information with your followers so they can better enjoy the stay at your bar. Invite your customers to leave their stories and experiences in your social media. With a brief comment, a picture and even a short video, the essence of your bar will be shared and viewed by a large number of people. Use the content generated by your customers to create viral content. Collect this content, create an animated video based on the experience at your bar and show it on your YouTube channel. A viral video is a good element to spread a brand image closer and funnier; it reaches the customer through humor and emotions, inviting them to share it among their friends. 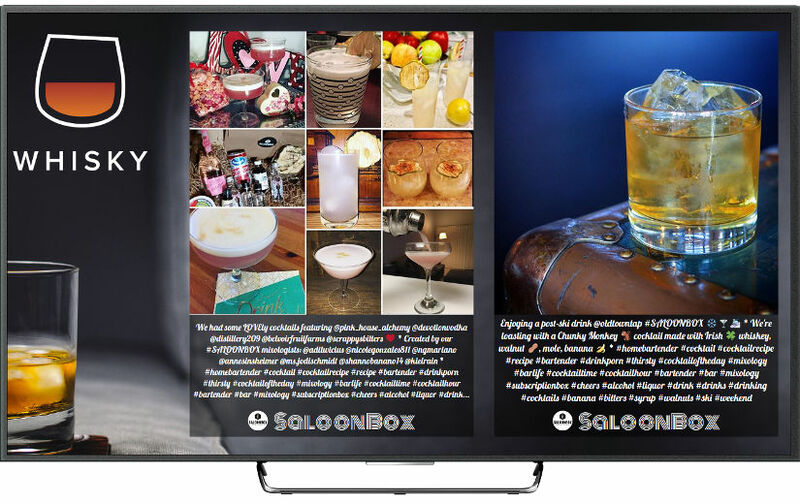 We develop solutions for your bar to be a success in social media, let’s talk!